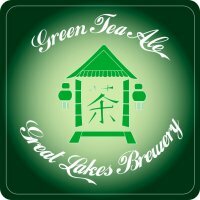 TORONTO, ON – Great Lakes Brewery have launched their newest seasonal beer, Green Tea Ale. First released as a one-off for Toronto’s Festival of Beer last summer, the beer was popular enough to have a wider release this year as a spring seasonal. Our new spring seasonal, Green Tea Ale, is now available at our retail store. Sold in our custom 650ml stenciled bottles, it’s part of the LCBO spring beer release, and will be on shelves the first week of March. Brewed with Organic Green Tea and Ontario ginseng, it’s refreshing and deceptively full bodied for 4.2%. The fresh green tea flavour comes through in the middle with a touch of bitterness in the finish. Look for it on draught at a number of bars in the next few days.